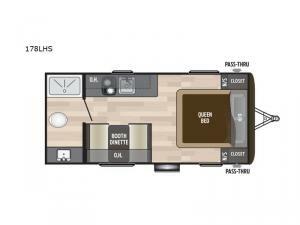 This Hideout Single Axle travel trailer is a unit that provides all of your camping essentials at a high-quality level. 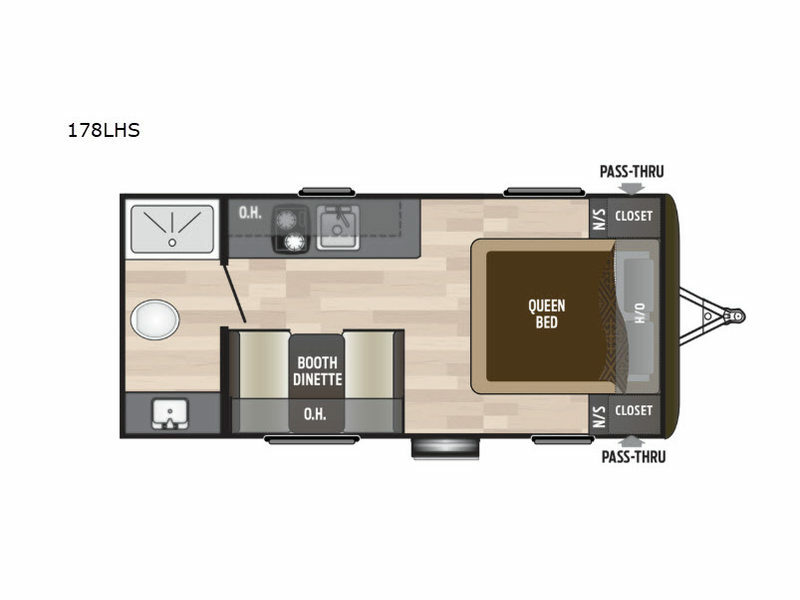 Because the full bathroom is located in the rear portion of this trailer, you have a private and spacious area to get ready each morning, and the two closets that are located on either side of the queen-size bed will store all of your garments so that you can dress appropriately for every excursion you take. After you have prepared breakfast in the full kitchen and have finished eating it at the booth dinette, you will be ready to begin your full day of adventuring in the beautiful outdoors.